How can we, family and carepartners, support the people we know living with Alzheimer’s disease or another form of dementia? Keeping loved ones stimulated and providing ability-based care and support cannot be overstated. At NursePartners, we recognize the GEMS™ model as an effective method for providing a treatment plan for individuals affected by dementia. Click here for an introductory overview of the classification system describing the stages of the journey. By appreciating what is changing and what is still possible, we can provide care that is more effective and less challenging. As dementia moves into the final stage, it can be difficult to know how to meet needs. Many lose their ability to control movement and respond to the environment. As memory and cognitive skills worsen, your loved one may need extensive help with daily activities. The goal of care at this stage is to focus on preserving dignity and quality of life. Although your loved one may lose the ability talk and express needs, you can still connect with them, enjoying interactions and experiences of their past life. Rubies experience late stage changes as fine motor skills are very limited. Losses in depth perception, as well as limited visual awareness and major sensory changes result in needed assistance with utensils, brushing, buttoning and moving. Hand-under-hand assistance helps rubies feel safe and secure. Suggested activities together include: reading, playing music, and looking through old photos. Pearls are still and quiet, unable to actively move or respond, with limited awareness of the world. Pearls enjoy pleasant sounds and familiar voices, grasping onto moments of connection. Whether it’s the smell of their favorite perfume, or a beloved radio program, these small experiences can help capture a moment in time and evoke pleasant memories. Being present, patient, and understanding with your loved one will help them escape feelings of isolation associated with late stage Alzheimer’s. Tailor the environment with the interests of your loved one. This can allow them to emotionally connect to things they previously enjoyed. Plan the days to have a balance of restful and active periods to help your loved ones transition slowly and gradually from one to the other. Observe the person for signs of stress. Keep lights low and noise to a minimum. Consider visiting in smaller numbers. Use your voice to engage and encourage, talking quietly to tell stories and reminiscing about past events. Discover which eye they use for vision. Do not obstruct their line of site and get on or below eye level when speaking with them. At this point in the disease, the world is primarily experienced through the senses. You can express your caring through touch, sound, sight, taste and smell. NursePartners is committed to providing uncompromised care to those living with a diagnosis of dementia. Our carepartners are trained in the Positive Approach to Alzheimer’s and Dementia Care (GEMS™) and work with families to enable safety, comfort and happiness through home-care services. 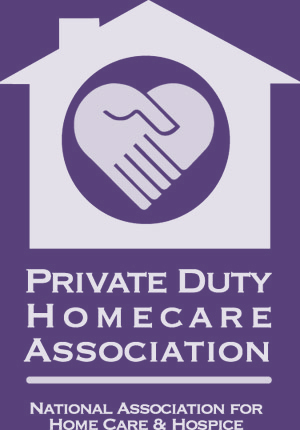 If your loved one need home care assistance or relief, our team would love to help. We can support the people we know living with dementia by keeping them mentally stimulated and providing ability-based care and support. At NursePartners, we recognize the GEMS™ model as an effective method for providing a plan of care for individuals living with Alzheimer’s disease or another form of dementia. Click here for an introductory overview of the classification system and to understand the stages of the journey. At NursePartners, we use the “Emerald” or “Amber” classification for clients with moderately developed dementias. We prefer this terminology because we know that all clients are operate at their best with the right approach to care. A client normally persists in the Emerald and Amber stages the longest out of the other GEM levels. During this time, damage to the brain can make it difficult to express thoughts and perform routine tasks. It is important to allow your loved one to be involved in their day-to-day routine. Provide meaning through relevant activities that were part of their past because this will provide them with a sense of self-worth and add to their quality of life. There will be acute changes to their self-awareness and senses. We need to be able to distinguish daily changes and overall trends. By having an established relationship with the client, we are also able to tell the difference between a client’s personality quirks and further developments of the disease. Emeralds may get lost in time, thinking that are in another place or assuming a former role. They have problems with communication and comprehension, often asking questions that begin with “who”, “what”, “where”, and “when”. At this GEM level, clients are making small mistakes with their personal care, but may not recognize it. Some examples of this might be fastening buttons in the wrong holes, putting shoes on the wrong feet, or not changing clothing or brushing hair before leaving the home. It is not important that we “correct every mistake”, but make changes subtly by using the right approach. Sometimes this requires relating to the “mistake”, by discussing how we do this ourselves. We could also pull out another piece of clothing and convince the client how good they look in that particular piece. Cooking: salads, ice cream, Jell-O, pudding, no-bake cookies and pies, etc. Ambers like to live in moments of time, and are focused on sensation – manipulating, gathering and touching. They are focused on wants and needs, and sometimes are exploratory without safety awareness. Their communication is limited with difficulty understanding and expressing needs, so activities selected need be familiar and sensory stimulating. Ambers may enjoy sing-alongs or being in visually stimulating outdoor locations. Family members find it hard to find new ways “to say hello”. We need to remember that there are other ways to communicate beyond verbally. This is the time to start using those our methods. Sorting nails, screws, and other hardware. Organizing nail polish and lipsticks by color and shape. Grouping coins, according to date, value or place of origin. Rearranging the order of the silverware drawer by forks, spoons and knives. Categorizing playing cards into decks or suits that match. Make a schedule and follow it: be structured but allow flexibility. Offer a variety of activities everyday: leisure, work, rest, and self-care. Create a flow for the day: build up and then slow down. Build a foundation of familiar and favorite activities. NursePartners is committed to providing uncompromised care to those living with a diagnosis of dementia. Our carepartners are trained in the Positive Approach to Alzheimer’s and Dementia Care (GEMS™) and work with families to enable safety, comfort, and happiness through home-care services. If your loved one need home care assistance or relief, our team would love to help. Contact us today. The early stages of dementia sometimes go unnoticed, especially if the older adult lives alone. In the cases that we do learn of an early diagnosis, the challenge becomes how to best support the person living with dementia. Typically the diagnosis may be Alzheimer’s disease, but the reality is that there are over 80 types of dementia and other conditions that produce symptoms similar to dementia. Keeping loved ones stimulated, and providing ability-based support and care cannot be overstated. At NursePartners, we recognize the GEMS™ model as an effective method for providing a treatment plan for individuals living with dementia. Click here for an introductory overview of the classification system and to understand the stages of the journey. In the early stages of dementia, your loved one may withdraw from activities they previously enjoyed. It is important to help them remain engaged and stimulated. Even the most simple, everyday tasks such as setting the table or folding clothes can help a person with Alzheimer’s or another form of dementia feel connected to “normal” life. Activities linked to hobbies and interests can maximize choice and help build the relationship between that person and the carepartner. Sapphires may feel “blue” due to changes with the aging process, although there may be no significant changes in cognition. Sapphires are committed to lifelong patterns, enjoying the things the way they always have. Sapphires prefer being asked what to do when making decisions. Pamper them – spending a spa day or a trip to the barber/beauty salon can help them feel less blue. Sapphires are not living with dementia. Diamonds are “clear and sharp,” successful with established habits and routines. Diamonds like to feel competent and valued, and it is important for them to feel comfortable and in control. A diamond can still do things as they always have, but they become more territorial and less aware of boundaries. Diamonds enjoy familiar places, whether that be a family member’s home or a favorite restaurant. Suggested activities include attending concerts or plays and getting fresh air – picnicking or walking outdoors. A stroll in the neighborhood helps animate most older adults. Thinking: crosswords, jigsaw puzzles, cards, board games, and reading. Physical: walking animals, gardening, walking, swimming, and dancing. Social: visiting with family or friends, or going to a favorite restaurant. Home Activities: folding laundry, feeding pets, cooking and helping in the kitchen. Creative: arts and crafts projects, knitting, painting and drawing, playing music or singing. Daily living: taking a shower, brushing teeth, eating, and getting dressed. Creating a scrapbook, pasting photos onto the pages and writing notes about the memory beside the photo. Reading saved letters and greeting cards. A ride in the country. NursePartners is committed to providing uncompromised care to those living with a diagnosis of dementia. Our carepartners are trained in the Positive Approach to Alzheimer’s and Dementia Care (GEMS™) and work with families to enable safety, comfort, and meaningful activity through home-care services. Exercise is essential for a healthy lifestyle, contributing to physical and mental health, muscle control, coordination, and a sense of wellbeing. It plays a huge role in reducing Alzheimer’s and dementia, by maintaining blood flow to the brain and stimulating cell growth. improved physical fitness (maintaining strong muscles and flexible joints can help people maintain independence for longer). The Department of Health recommends 150 minutes of physical activity per week. This equates to 30 minutes of activity per day. This can be broken up into shorter sessions throughout the day, with each session lasting a minimum of 10 minutes. Allow your loved one to go at their own pace. Plan a day around physical activities: a fifteen minute walk in the morning, followed by housework or gardening tasks in the afternoon. It is important to consider ability, stage of dementia, and preference, as individuals undertake physical exercise. Some might be more adaptable to exercise, while others start with simpler activities. Always talk to a healthcare professional before creating a exercise plan. Often clients have previously worked with a physical therapist. NursePartners is able to help clients follow those plans already developed. What is the right exercise? An exercise program incorporated into a routine in the early stages of dementia is more likely to be maintained, extending the benefits to health and well-being. Consider a physical activity that is mentally and socially engaging, such as walking, gardening, dancing, or an exercise group. Repetitive activity such as walking on a treadmill or using an exercise bike can also help reduce anxiety and confusion. If possible, physical activity can be very beneficial in the later stages of dementia. Have your loved one walk short distances between rooms as part of a daily routine. This will help maintain muscle strength and joint flexibility. Physical activity creates an opportunity for your loved one to socialize with others, as well as working to improve and maintain their independence. NursePartners is committed to providing uncompromised care to those living with a diagnosis of dementia. Our carepartners are trained in the Positive Approach to Alzheimer’s and Dementia Care (GEMS™) and work with families to enable safety, comfort, and happiness through home care services. 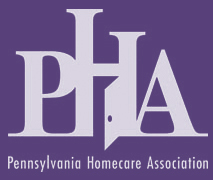 NursePartners, Inc. is proud to be the only home care company in Philadelphia that is SAGETM certified for LGBT Seniors. As an Independence Business Alliance (“IBA”) member and sponsor for many years, we know that aging LGBT seniors face a unique set of challenges when it is time to receive personal care. If they move into an assisted living community or nursing home, they may have to hide their identities or not participate in favorite activities. This forced change is not only difficult, but it is one that should never happen. We sought to make a difference by training 25% of our employees to better understand how to connect and care for the aging LGBT community. The training taught employees the intergenerational and racial nuances that apply to LGBT older adults. We learned how respond to bias behavior, incorporated new vocabulary, and received an overview of federal protections. Previously these same employees completed the GEMTM training, a 7.5-hour training module that refines approaches for working with clients living with dementia. This training involves role playing with a dementia coach and working through challenging behaviors. Many of the techniques in Teepa Snow’s Positive Physical Approach to CareTM can also be applied to clients not living with a diagnosis of dementia. This is because we focus just as much on our approach as the quality of care delivered. All clients receive a care of plan uniquely made for them. These plans are developed by a registered nurse and adjusted accordingly as conditions change. NursePartners values the relationship with the client as much as with their family. We know that the journey may be challenging and we are here to offer support. One of the common mistakes we make as caregivers is to eliminate the very activities that give older adults a sense of purpose. Our first inclination is to “entertain” instead of giving older adults a “job-related” activity. However, older adults also need to feel needed and seen by others as productive members of society. For many of us, productivity equates to the feeling of importance. Assigning tasks requires creativity. It is most successful upon taking the time to understand an individual’s unique history and personality. For someone living with dementia, traveling back in time is common. We can anticipate some of possible job-related activities by knowing what our clients did for work 20,30, or 60 years ago. We piece this puzzle together through a thorough initial assessment and continued conversations with family and friends. Sometimes job-related tasks can be accomplished by involving the client with their own care. Depending on their GEMTM level and living arrangements, clients may even want to take part in activities for other residents. In the Diamond and Emerald stages, we need to take care to control for external stimuli that might distract from the schedule or make unnecessary changes. For later GEM stages, we will then have to adapt tasks to ensure that the client continues to successfully complete them. We welcome the opportunity to tell you more about our dementia care services. We focus on what our clients can do, not what they cannot. There is a no cost, collaborative health and wellness assessment. 24/7 availability, including holidays and weekends. We are staffed with Certified Nursing Assistances (“CNA”s), not Home Health Aides. All of our CNAs have years of geriatric experience and exhibit a passion for caring for those with progressive diseases. Regular visits by licensed clinicians to ensure customer satisfaction. Carepartners are employees of NursePartners, not subcontractors. We seek to engage our clients in meaningful activities; we seek to exceed your expectations. Our standards are higher than those set by the healthcare industry. During the first week of services, NursePartners puts together an activity box for each of our clients living with dementia. These give carepartners the tools they need to start building a successful relationship. Carepartners know to communicate client needs as they arise. Sometimes by learning more about our clients we can find activities that will best engage them. Occasionally we bring additional items into the client’s home as we discover new interests. We recommend keeping the brain actively engaged. Families are encouraged to interact with the person living with dementia to find new ways to connect “and say hello”. Jeremy Miller, BSW is a Certified Dementia Specialist who offers recommendations on his website: http://www.engagingdementia.com/engaging-products. It is also recommended to involve clients in their own care. Clients should feel a sense of responsibility. Carepartners may accompany them to places such as the grocery store or they could shop for these items online. Grocery delivery and other similar services are coordinated through our office. Let us tell you more about how we can help you or a loved one age gracefully in place: 610-323-9800. NursePartners emphasizes the need to substitute and then subtract when helping someone living with dementia. This requires thinking creatively and making the care recipient feel as though they are effectively communicating their need or desire. Our team helps the person living with dementia feel heard and acknowledged by joining their world. We spend extra time connecting before providing care. If the person is trying to communicate something, we ask them to tell us about it. If they are noticeably upset or sad, we take that extra moment to enter that emotional state ourselves for a little. For someone unable to communicate effectively, this opportunity to describe something they forget or connect emotionally will allows us to provide care and for both the carepartner and the client to feel good about our interaction. By now, you all know why we love the nationally renowned dementia care expert Teepa Snow and her GEMS® classification system techniques and strategies. This Huffington Post article covers the essentials in providing family members and care partners the tools and tips that lead to positive and meaningful relationships with loved ones with Alzheimer’s and dementia. As a person with Alzheimer’s and dementia progresses, it is important to continue to provide quality of life at each stage. Entertainment and activities are essential for the wellbeing of people with Alzheimer’s. While they do not slow the progression of dementia and Alzheimer’s, these activities can improve the quality of life for your loved ones. What profession did you loved one choose? Which roles did they have and can you preserve or re-imagine some of that? While an extrovert is likely to enjoy group activities like bingo, your introvert will much rather do something on their own, such as solving puzzles or organizing coins. For people with Alzheimer’s disease, a successful activity, whether it’s listening to music or playing a game, helps create meaning and pulls from past interests. These activities can provide your loved one with a chance to be more engaged, while fostering an emotional connection and self-expression. “Provide more than just entertainment. It’s important to balance the day, by including productive activities (that the person can realistically to expected to be able to achieve), leisure time, fitness activities and, finally, rest and relaxation. Teepa stressed the importance of modifying your expectations as your loved one progresses through the stages of dementia. Activities that worked well with those in the early stages will not necessarily be successful for those in the mid- to late-stages. People with dementia have the right to enjoy the highest possible quality of life and care by being engaged in meaningful relationships that are based on equality, understanding, sharing, participation, collaboration, dignity, trust, and respect. At NursePartners, we work to match a highly qualified and experienced care partners to your preferences and expectations. We strive for hand-picked, exceptional care that meets the needs of each unique individual. Our specialized approach to care includes a customized treatment plan – our caregivers are dedicated to improving quality of life. By keeping a record of everything from mood behaviors, health problems to daily activities, we can begin to understand what factors contribute to positive moods and overall happiness. Furthermore, our care partners have leading expertise and experience with dementia and Alzheimer’s care. Care partners also assist with transportation, preparing individualized meals, light housekeeping, and personal care. If your loved one needs home care assistance or relief, our team would love to help. Contact us today. NursePartners has been serving its clients for over 15 years. Each of our employees have years of geriatric experience and exhibit a passion for caring for older adults. Carepartners that work in the GEM (dementia) division have undergone an 8-hour paid training. They also receive continued coaching from a certified dementia practitioner and coach as they work with our clients. We begin by working with the family to create a customized plan of care developed by an experienced Registered Nurse. We help create and maintain a safe environment to prevent falls, injury, and wandering. We may be able to offer dementia consulting services upon request. Angie and NursePartners have been a godsend to my brothers and I in providing in-home care for our mother. Our mother, who is 83, lives alone and enjoys doing so, however she has severe limitations due to her sight and mobility restrictions. My brothers and I live in distant cities and we have no surviving relatives in the Philly area. NursePartners has not only provided consistent, reliable service to my mother but have gone out of their way to assist her in whatever way required. If you find yourself having a similar need, I would highly recommend NursePartners.